E-commerce in developing countries requires more governmental support to reach its full potential, ITC Executive Director tells WTO workshop. Electronic commerce (e-commerce) allows developing countries to compete in international trade, but the full potential of its benefits can be realized only when governments create business environments that harness the power of the internet. “More needs to be done to exploit the potential of e-commerce as a development tool,” the International Trade Centre’s Executive Director Ms Patricia Francis said on Monday (8 April) at the opening of a two-day workshop on e-commerce at the World Trade Organization. If not, ‘it is a missed opportunity for exports and economic development’. The bulk of e-commerce is business-to-business (B2B), and it provides opportunities for small and medium-sized enterprises (SMEs) to overcome logistical and geographic challenges in terms of access to markets. By selling products online, the need for middlemen disappears, allowing businesses to reduce transaction costs and become more competitive. Participants at the event heard how e-commerce also creates opportunities in services trade, and how micro-work and freelance marketplaces enable entrepreneurs in developing countries to bid for work they did not have access to before. In this way, e-commerce helps close the income gap and ‘provides the possibility of leap-frogging for countries across the income spectrum’, saidMr Harsha V. Singh, Deputy Director-General of the World Trade Organization. This is evident in the mobile phone market, he pointed out, as an increasing number of rural farmers in developing countries sign up for subscriptions, more of them are able to engage in mobile money services, open savings accounts and earn interest on their deposits. Despite the growth of e-commerce on the internet and on mobile devices, digital literacy remains highly fragmented and affordable broadband is far from universally available. A major challenge is insufficient internet connectivity in many developing countries. Online-payment systems remain unavailable in many countries and SMEs often lack the skills needed to engage in e-commerce. There are on-going inter-governmental discussions in bilateral, regional and plurilateral fora about the possible need for new trade-related disciplines in areas such as cross-border data flows, data privacy and access to data storage infrastructure. But Ms Francis pointed out that, while the governments of developing countries have passed regulations in support of e-commerce growth, they need to do more to build business environments with a focus on the digital economy. Governments will need to make the cross-border purchase and shipment of goods more efficient and less costly. Entrepreneurial services suppliers, including women and youth, will need to receive support. More work must also be done to ensure data privacy and security of online and mobile payments, as electronic payment systems expand to accommodate more online transactions. ’These are high-end service opportunities,’ Ms Francis said. ‘Growth in e-commerce will provide benefits related to foreign-currency generation, taxation, poverty alleviation and job creation for young workers,’ she added. 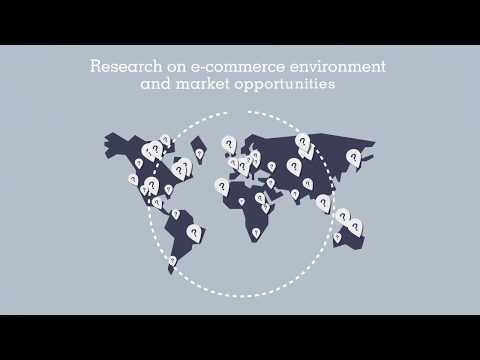 ITC has been promoting the development of e-commerce. In Morocco, the web portal of the textile industry association AMITH was upgraded, connecting potential buyers with local suppliers. In Bangladesh, within the framework of the NTFII project, ITC provided advice on web advertisement and social media to SMEs from the local IT industry. In Fiji, ITC linked rural producers with traders using mobile and web applications. Watch ITC’s presentation from the workshop here.